Face it: A fastball to the cheek is no joke. Houston Astros prospect Delino DeShields Jr. suffered a serious blow to the face on Friday. The center fielder for Double-A Corpus Christi (and son of former MLB player Delino DeShields) was hit by a fastball on the right side of his face during a game in Frisco, Texas, MLB.com reported. 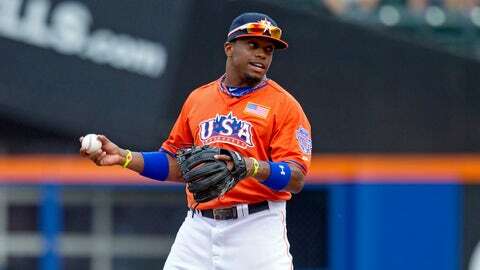 Although DeShields Jr. was able to walk off the field on his own, he was still taken to the hospital to be treated. Yikes. That is one serious swell.